Anyone familiar with the Bible, and even those who aren’t, know the tale of Judas Iscariot, or are at least familiar with this name that has gone down in infamy. The Great Traitor. The ultimate betrayal. Beware of a Judas kiss. But what if his story isn’t as simple as we thought? What if there’s a lot more to it? What if he’s not the sinner the Bible paints him to be? 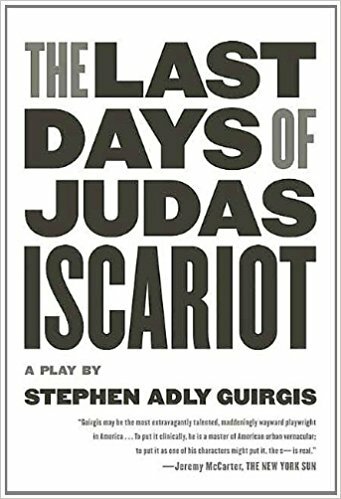 Stephen Adly Guirgis unravels the life behind this character — this person — who is so commonly villainized and possibly misunderstood. With special appearances from St. Matthew, Mother Teresa, Sigmund Freud, Pontius Pilate, and, of course, Satan himself, the story of this court case questions exactly what it means to be guilty and what it means to achieve redemption. SMTD is putting on a student production of this play that delves deep into the flaws of humanity and the decisions that are made. Come to the Arthur Miller Theatre on February 15-18 to watch Judas’s ultimate fate be determined. Showtimes are at 7:30pm, 8pm, or 2pm with tickets at $12 with a student ID or $20 for general admission that can be purchased at http://tickets.smtd.umich.edu/ or at the Michigan League Ticket Office.